It has finally arrived…the latest and greatest digital cutting machine by Silhouette. Introducing the Silhouette Cameo. It is the same great product as the Silhouette SD but it cuts up to 12”. No more cutting down those large scrapbook papers. This baby can accommodate 3 more inches of cutting space than the SD. Now for as much as I use mine machine 3” is a big difference. I have a few projects I have been putting on hold in order to get this machine in my hands first because I need that extra space. 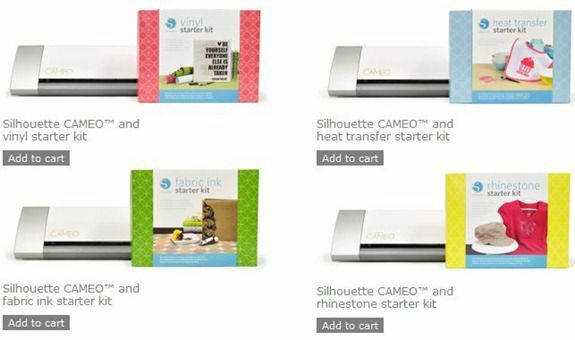 If you use the code: IHEARTIC you can get a brand-new CAMEO and your choice of a starter kit (Fabric Ink, Vinyl, Heat Transfer, Rhinestone) for $299. Silhouette has a limited number of bundles for this first promotion and the first shipment of Cameos will set out. So if you want one hurry up and grab one before they sell out.